Oh Dog! Happy Saturday! It’s Jen’s only day off this week, and she has committed to spending quality time with us! She’s also going to be a part of another transport today, helping this sweet kitty go to her new forever home. And while we’re on the subject of adoration, you might want to check out this great contest Iams is sponsoring. 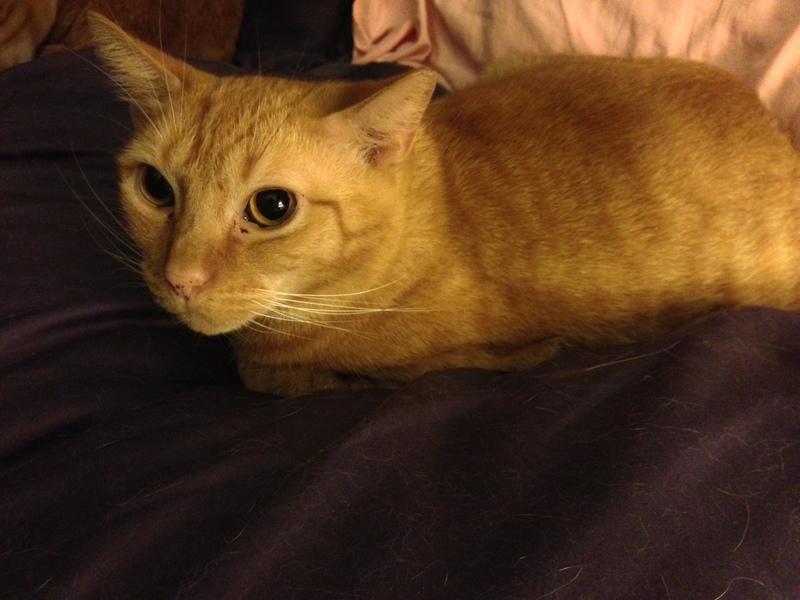 Just share a photo and write in 500 characters or less about the unique relationship you have with your dog or cat and how Iams helps you show your love. Then submit your story following the steps on their Facebook page. Entries will be accepted through March 3rd. Iams will select 50 stories as semi-finalists. Ten finalists will win a case prize and free Iams for a year. Then in April, their Facebook fans will chose a grand prize winner. Hiss wants to be in today’s post. Friend and fellow blogger Anne Schilde has written a haunting short story for our Animal Welfare Blogger Challenge. Please check it out! And please vote for me today and every day in the World Spay Day Pet Pageant! I know this is about the animals, but it makes me sad to see myself so far behind my competition. Come on now! You can help me win this thing! Don’t you WANT a world-renowned dog to be the world spokesdog for spay/neuter? Then vote! vote! vote! Indeed – awwwwww. 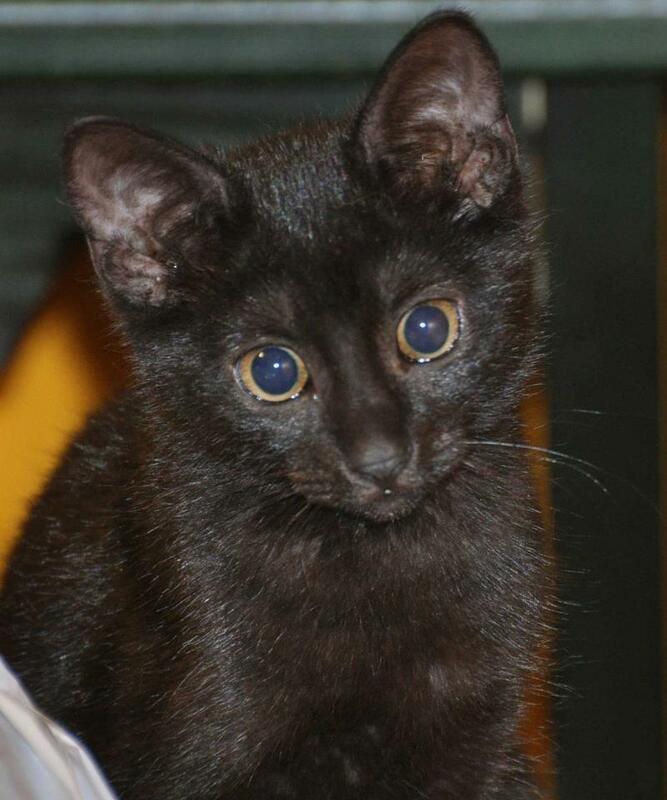 How good is your Mom to be helping to get this cutie pie kitten to it’s forever home. Fantastic job. Going to hop over to that competition to see if it’s open to South Africa or not. Usually not but worth a look. Hi Rumpy and Hissy! That kitty is so sweet! I’m glad that she found her forever home! How sweet of Jen to help her to go to her new home! Thanks so much for helping her, Jen. 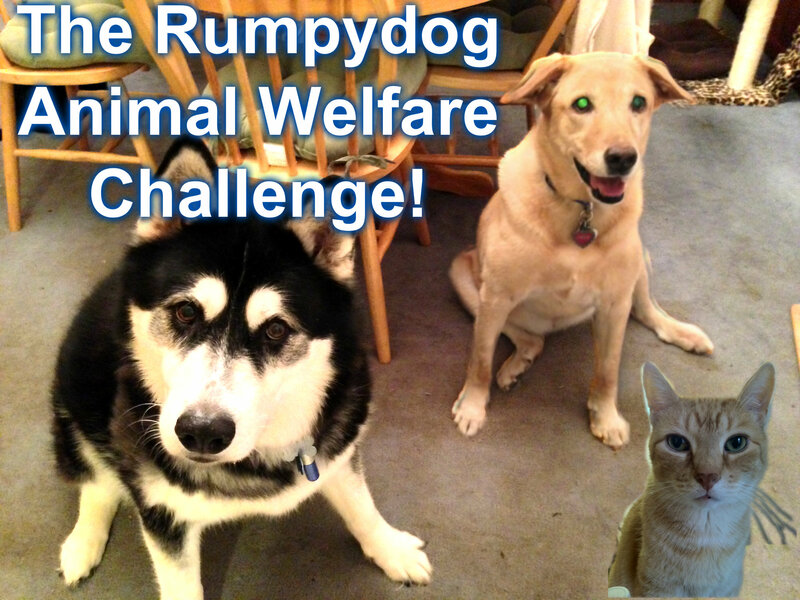 Rumpy – we think you would make a fantastic spokesdog for spay/neuter and we will go vote for you! Thanks so much!!! woo woo! How nice of you to do on your only day off. 🙂 So nice! Hope all goes well. Thanks! I’m sure it will! What a cute cute kitten!!! Happy Saturday!! I know! And a happy one too now that she’s heading to her forever home! Have a fun and snuggly day with Jen, Rumpy. Our vote is in. Yesterday, Mom tried to vote twice by accident. Oops. They wouldn’t let it go through. Hang in the Rumpy! You are so kind to let Jen leave on her only day off. That’s another reason everyone should vote for you! HUGS for a real winner..you can share with Jen….and who ever seems to need one. Oh WOW – you want to interview me? What an honor. Of course you may, I’m touched as you are so famous and I’m a cat! i am so excited! I will send an email soon. Vote for Rumpy!!! And the rest of the gang. What a cute little kitten! That black kitten is adorable! Is she all black, or is there a touch of white somewhere on her body? I had a friend with a cat named Midnight. She was all black, even her whiskers and her claws were black! Black IS beautiful. I’m not sure yet. Jen can tell us after she transports! Thanks for the link. ♥ I was hoping I could steer some of my readers your way, but that works too. I don’t want to say i love your story, because it’s frightening….. but I am enthralled by it. Hope the kitten gets to her new home safely. Well done Jen. And what a great story x. That little cutie is a lucky thing. Hope the journey goes well for Jen. I voted for you today Rumpy. But I have to say I’m disappointed that this looks like a cat blog today. I do hope that kitty gets a good forever home though. Well….. one does what one must to keep the peace! Voted for you again today. Hope you win. I know, I’m so photogenic! Voted for you again, plus HAD to spread the love via Pinterest and Twitter! You are a champion, Rumpy! We love your Mommy for helping this sweet little kitten get to her home! AND we went and voted for you using the Human’s fakity-fake facebook page she made JUST so she could do things like this, MOL! Oh my catness! What a sweet baby kitten you are giving a ride to! That kitty reminds me of Puss in Boots in the Shrek movies, haha. So cute!